Last year, we caught a preview of a new play from Checkpoint Theatre while it was still in development. Now, that play is finally ready to be staged, as Checkpoint Theatre premieres artist-writer Dana Lam’s Still Life as the very first production of their 2019 season this February. 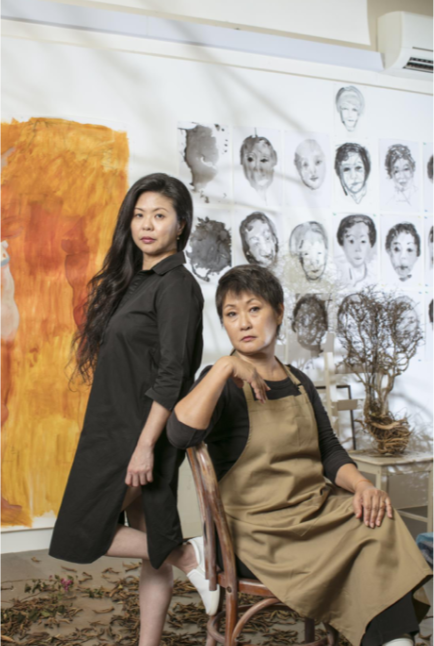 Directed and dramaturged by Checkpoint Theatre co-artistic director Claire Wong, Still Life is Dana Lam’s reflection on her life and art-making, as seen through her eyes, words and works. Best known as a former president at AWARE (Association of Women for Action and Research), Dana Lam first brought Still Life to Checkpoint Theatre when she attended Huzir Sulaiman’s Playwriting Masterclass in 2016. From there, under Checkpoint’s guidance and support, she continued to develop the work, before it received a dramatised reading at Checkpoint’s Works in Development (2017). In 2018, the development of the work moved into Dana’s visual art studio at Goodman Arts Centre for several months of devising, exploring and re-writing. Several scenes-in-progress were subsequently presented in a part-performance and part-process insight talk, in the second half of last year. 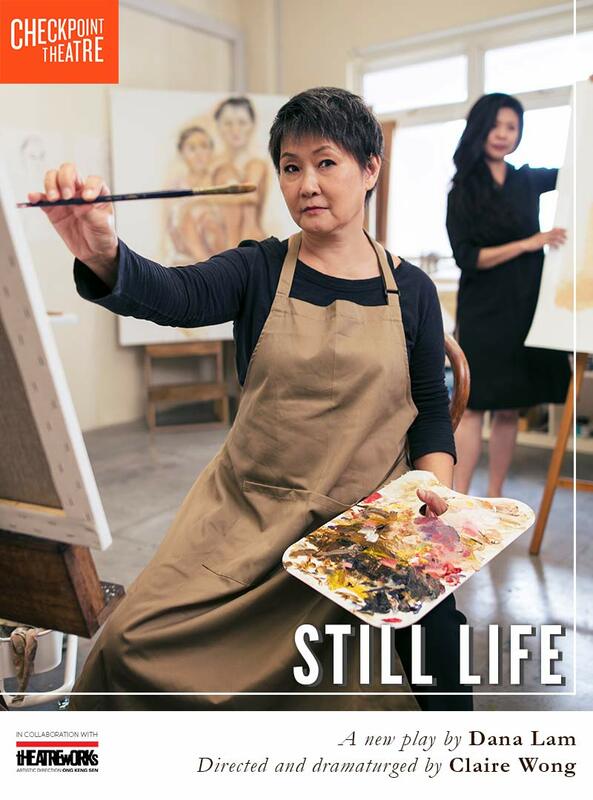 Still Life is set in an artist’s studio, where Dana takes the opportunity to use art as a means to examine the way we view the world, the past, and ourselves, using her twin first loves of writing and painting as a means to see it through. A deeply personal tale, Still Life takes us from the 1950s to the present, painting a deeply personal portrait of the human condition, of falling short, and of how intimacy in relationships can fade or drift — not for want of trying. Now coming to the end of this rigorous 2-year journey, Still Life comes at last to its full staging at 72-13, presented in collaboration with Theatreworks, as not only will they transform the space to resemble an artist’s studio – the Checkpoint team has even hauled Dana’s actual artwork to the space in order to add a personal element to the atmosphere. What happens when an artist picks up her paintbrush after a long hiatus? Watch as this sensitive, evocative portrait of one woman’s life changes the way you see the world.